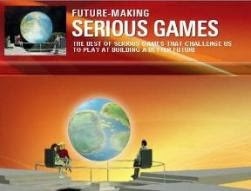 Ambient Insight's annual report on the industry at Serious Play Conference was always the best attended session because it reports on the Global Serious Games Market. 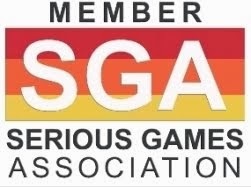 This year, Sam Adkins, the analyst, is allowing the Serious Games Association to offer his report for $349. Please find below the news release announcing the offer. 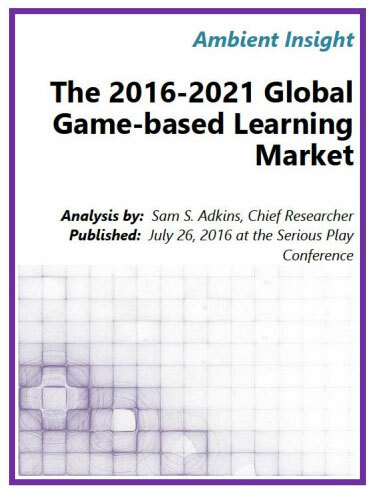 LOS ANGELES - Monday, August 22 - A comprehensive, 47-page report breaking down projected revenues for game and simulation-based learning products by seven regions, market segment and product category for 2016 - 2021 is available for $349 from the Serious Games Association. The report, researched by analyst Sam Adkins of Ambient Insight, predicts industry revenues will reach $2.6 billion in 2016 and grow to $7.3 billion by 2021. The global five-year compound annual growth rate (CAGR) is a robust 22.4%. Adkins covers catalysts driving the use of game-based learning, market shifts and trends and publicly announced investment in Serious Games companies. A total of $322.6 million has been invested in thirty-six Game-based Learning companies in just the first half of 2016, nearly double the amount for the entire year of 2015. Revenue projection charts are broken down by eight buyer categories: Consumer, Preschool, Primary Education, Secondary Education, Tertiary Education, Corporate, Federal Governmental Agencies and State/Local Governmental Agencies. Ambient Insight is an ethics-based market research firm that identifies revenue opportunities for learning technology suppliers. It tracks the learning technology markets in 122 countries. Ambient Insight publishes quantitative syndicated reports that break out revenues by customer segment (demand-side) and by product category (supply-side) based on its industry-leading learning technology taxonomy and proprietary Evidence-based Research Methodology (ERM). Ambient Insight has two lines of business: publishing quantitative syndicated reports and providing proprietary custom research to suppliers and private investment firms. Sam S. Adkins is the Chief Research Officer at Ambient Insight. Sam has been providing market research on the IT Training and eLearning industries for over twenty years and has been involved with electronic training technology for over thirty-five years. Sam is an expert at identifying revenue opportunities for global learning technology suppliers. Sam specializes in learning technology research across several technologies including mobile, augmented reality, virtual reality, cognitive systems, collaboration platforms, simulation platforms, and game engines. Sam provides clients with technology feasibility studies, strategic consulting on new product development, product revenue forecasts, emerging market analyses, and competitive intelligence. Sam is the only analyst in the industry that focuses exclusively on learning technology trends across all the major customer segments including businesses, government agencies, academic institutions, and consumers. Sam was a business development manager for Microsoft's Training and Certification group. During his eight years at Microsoft, he managed the Advanced Knowledge Engineering team that built the world's first commercial online learning business (The Microsoft Online Learning Institute). Prior to that, he was a Senior Instructional Designer at United Airlines. Before United Airlines, Sam was the manager of the Instructional Animation and Graphics Lab at AT&T's central computer-based training (CBT) facility for four years.